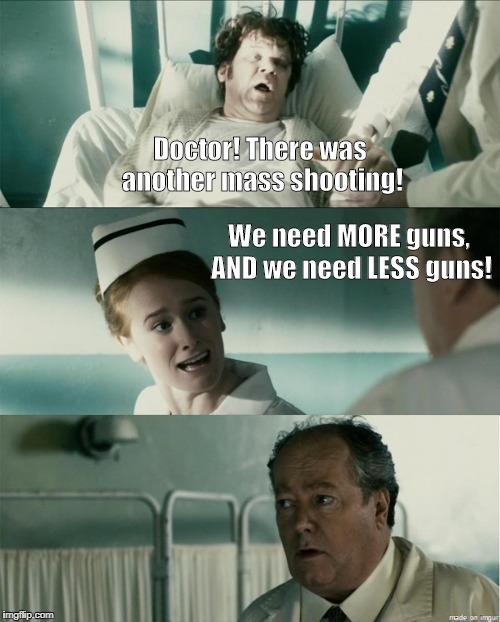 We need MORE guns, AND we need LESS guns! Doctor! There was another mass shooting!